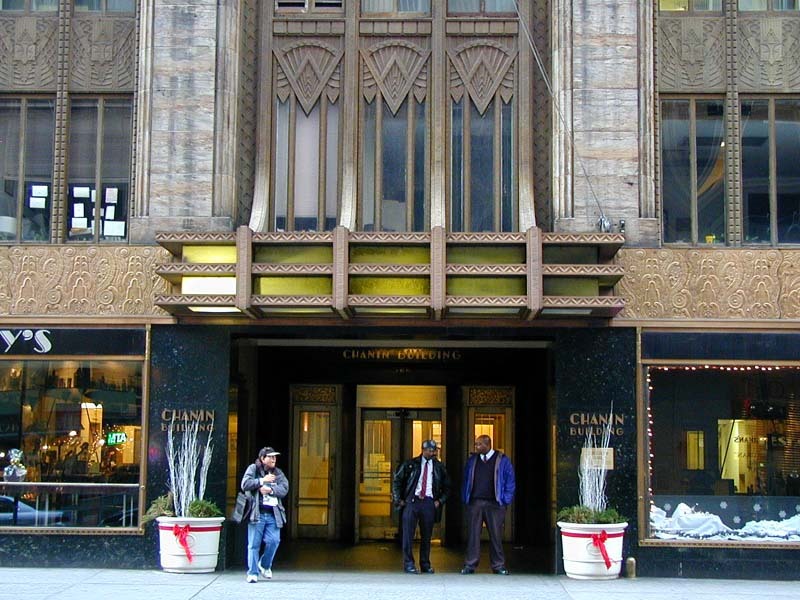 The Chanin Building is located at 122 east 42nd street and was completed in 1928, reaching a whopping height of 680 feet. 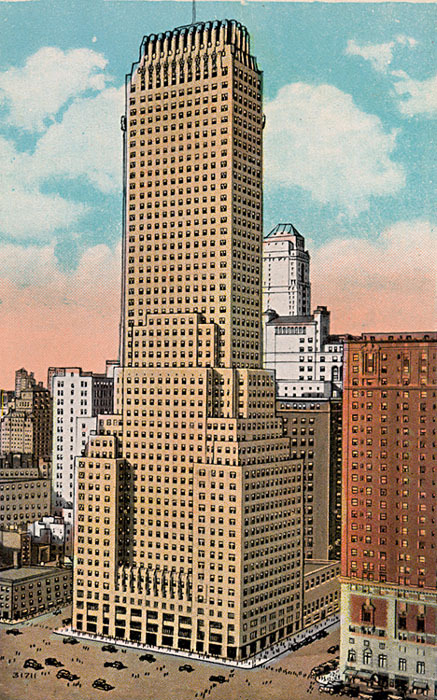 This 56 story towers blunt buttressed crown became a symbol for New York's crushing modernist drive. The buff-brick, limestone, and terra-cotta tower is a fascinating synthesis of skyscraper styles. The giant limestone buttresses at the base and crown are a conscience reference to the skyscrapers stylistic origins in the gothic world. Its giant 680 foot shaft rises uninterrupted for 22 stories above a series od shallow setbacks. The thinness of this slab viewed from uptown or downtown, creates a classic Art Deco setback silhouette. 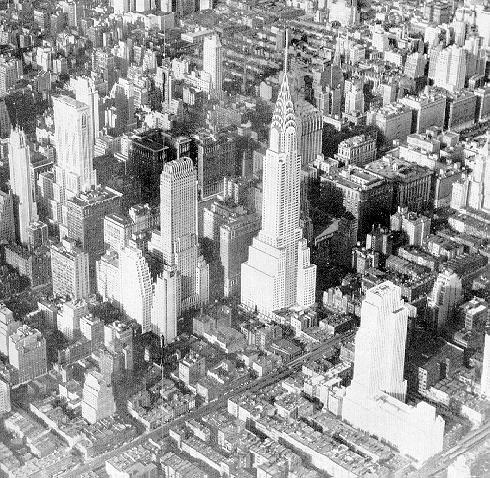 This is a two in one solution which was copied also by the McGraw Hill Building, and Rockefeller Center. The crowns reverse is lit at night so that the buttresses are thrown into shadow, and the recesses are illuminated. This building, built as leaseable office space, the building presents itself as a high point of creation. A bronze frieze located at street level depicts it as the sea and the tower as land. Another frieze on the 4th floor of the fascade proclaims itself as a building of the 2oth century. 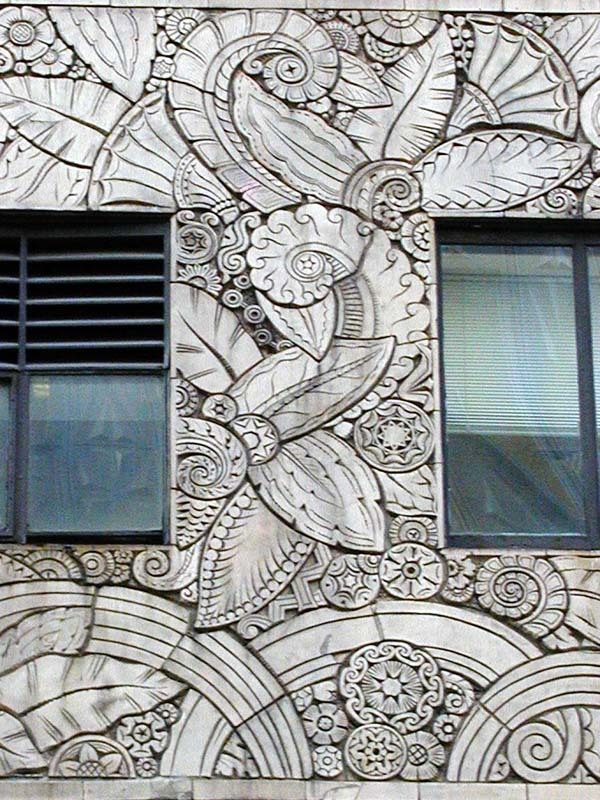 Thanks Noharmony for the pictures of the Chanin Building. Can you do anything for me with Citicorp???? Art Deco RULES!! This is a fabulous, timeless building! 1. Would be neat if the building's observation deck were reopened. 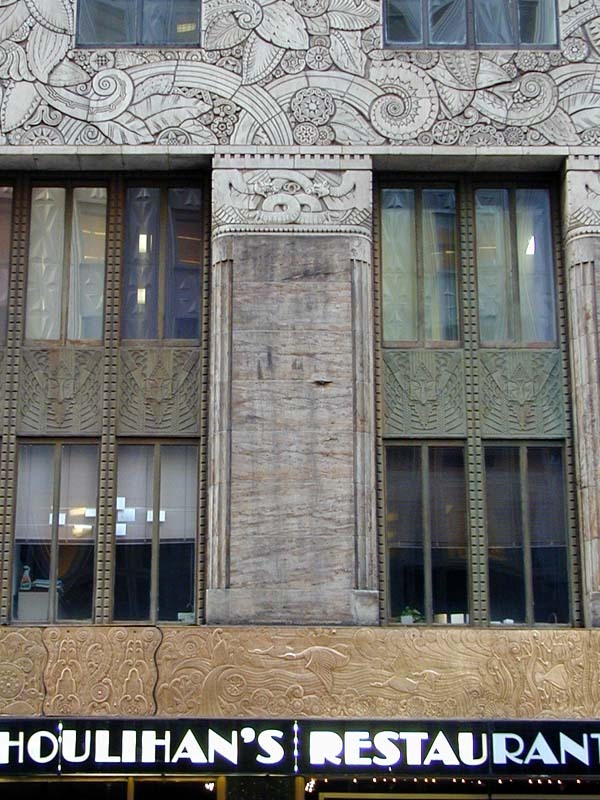 That would also make for one heckuva restaurant: Windows on the Chrysler.